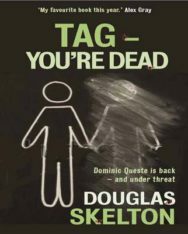 Douglas Skelton, author of the Davie McCall and Dominic Queste series of books, both set in Glasgow has turned his eye west to bring us his latest thriller. 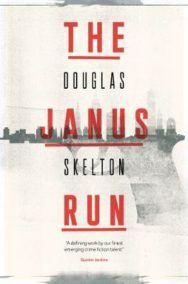 BooksfromScotland caught up with Douglas Skelton to get the lowdown on his new novel, The Janus Run. You’re better known for your crime fiction and non-fiction set in Scotland. What made you decide to set your latest thriller in the US? It followed a discussion with author Craig Robertson about three years ago, over coffee in Bristol. He suggested I do something not set in Glasgow, or indeed Scotland. I am a huge admirer of his book The Last Refuge, which was set in the Faroe Islands. I wanted to do something that was fast-paced, in the mould of Robert Ludlum, but felt I couldn’t set it in Scotland as I’d already done a pacey, action-based thriller set in Glasgow called The Dead Don’t Boogie. So I decided if I was going to branch out from Tartan Noir (I so hate that term) then I might as well go the whole hog and cross the Atlantic. And why New York? Do you have a particular affinity with that city? I’m a Glaswegian and I think we always have an affinity for New York, whether we know it or not! There are strong similarities, not just the grid structure of the streets, but also in outlook – gritty, tenacious, tough-talking, on the surface prickly and pugnacious but underneath a heart of gold – and in sense of humour. Also, I feel I know the city, being such a huge movie fan. Apart from that, I love New York! If I could ever afford to live there, I would. I have a friend over there while I write this and I am well jealous, let me tell you. Have you been influenced by American crime writers over the years? Do you have any favourites? Whisper it – all my influences are American! From my teenage years I read the 87th Precinct novels of Ed McBain and I still return to them in the hope some of the mojo rubs off. Prior to that I read Ray Bradbury and Robert Bloch. Prior to that Mark Twain and Jack London and a prairie-load of westerns, especially Jack Schaefer. Now my go-to authors are Dennis Lehane, Robert Crais and John Connolly (although he’s Irish), among others. 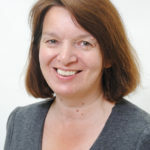 I realise that this is a very male-orientated list, but I did discover Dorothy Uhnak in the 1980s, read a lot of Patricia Cornwell and Paula Gosling while more recently I’ve chanced upon Rachel Howzell Hall, who writes some tough, no nonsense LA-set crime. Did you approach writing this novel in a different way to your Scottish books? Was it difficult to get the voice right? It was more difficult than I thought to get the voice right. I thought, steeped as I am in movies and TV and US fiction, that it would be a breeze but it really wasn’t. By default I used UK spelling and words. Luckily, I think between the editors, the publishers, my beta readers and me we caught them all. I hope. The writing approach was, I’m sorry to say, as chaotic as usual. I had an idea, an opening, I had no clue where it would go but I ran with it. I don’t plan. I only research what I need to and generally as I go along. I wish I was more organised. I bought a white board but all it has on it is a shopping list. You pull out all the stops in The Janus Run: you have the Mafia, secret government agencies, the NYPD; there’s a certain glamour that you don’t normally get in Scottish crime fiction. Was that fun to write? That was another reason why it had to be set in NY! I wanted all those elements. Yes, we have crooks in Glasgow but they don’t have the same feel in fiction as the Mafia. And I wanted it to be old school in a lot of ways. The mob isn’t the force it once was but it’s still there. Much of it was fun to write, particularly the scenes with the mob guys because I could really stylise the dialogue. I watched a lot of documentaries and listened to the way they speak, then put my own spin on it. When I first introduce Tony Falcone the words just tripped right out, the way he thought, the way he looked at things, his sense of humour. I also wanted there to be a larger than life feel to the book and its characters and that fitted NY, right down to its big apple. It’s a very cinematic book. Have you thought about who would play the characters if it was made into a film? It’s purposely cinematic because that’s the way I think. My love of Three Days of the Condor (I have a wee sneaky nod to that in Janus) made me see Robert Redford as Cole Lang. And, naturally, Al Pacino as Tony. Sadly, both are perhaps too old now and Redford is retiring from the screen. What books have you been reading this year? Do you have any recommendations? I’ve been reading a lot by authors I know personally this year and even though it seems very buddy-buddy, I’d recommend the latest titles from Neil Broadfoot, Denzil Meyrick, Michael J. Malone, Caro Ramsay, Theresa Talbot, Lin Anderson, Quintin Jardine, Mark Leggatt, Gordon Brown, Mason Cross, Alex Gray. Ambrose Parry’s The Way of all Flesh is a bloody good read. I’ll be diving into Liam McIlvanney’s The Quaker in the not too distant future.